Mommy's Idea: Win a Moody Mamas Mini-Maternity Wardrobe! Winner will receive . . .
2. Come back here and leave a comment telling us what item is your favorite! Contest ends at 11:59 PM EST on Sunday, December 13, 2009. Marta Abrams and Elise Rosemarin are two friends that live together , work together, and co-own Moody Mamas in Los Angeles, CA. Though they are both single and without children themselves, Marta and Elise are very passionate about making pregnant women feel beautiful during pregnancy. 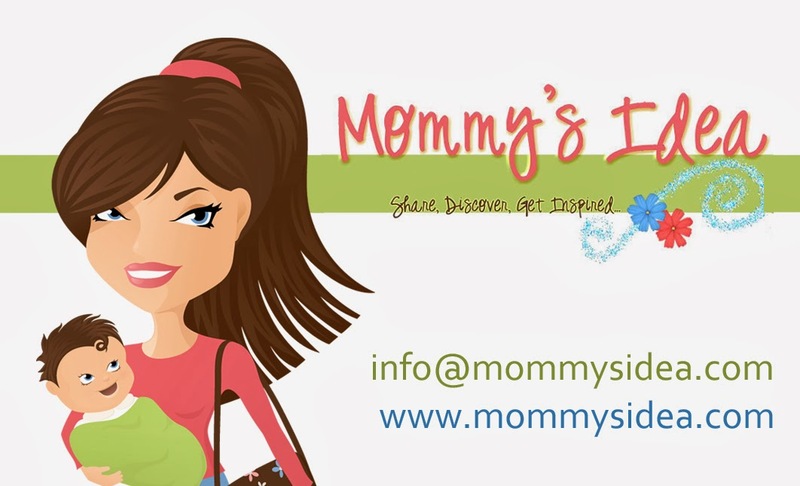 Moody Mamas Inc. is a maternity clothing company that specializes in nursing. Moody Mamas has also collaborated with Project Runway winner, Christian Siriano to create the Fierce Mamas for Moody Mamas label. Currently, Moody Mamas is available in over 250 boutiques as well as department stores such as Nordstroms.com, Harrods, Belk and Bon Ton. Recently, Moody Mamas launched a fantastically hip and affordable diffusion line for Target.com. Moody Mamas Inc. was created by Marta Abrams and Elise Rosemarin. Moody Mamas was created because Marta and Elise were interested in making a line that would make women feel good about themselves. Stemming from ideas that catered to different events in life, Elise and Marta came upon pregnancy. At the time, Marta’s cousin had just had a baby and begged the ladies to design maternity clothes because she felt that the market was lacking. After researching the market themselves, Marta and Elise saw the opportunity to pursue this business venture and immediately put themselves through “maternity boot camp.” During this time, Elise and Marta set up discussion groups with pregnant women, interviewed many OB-GYN and pediatricians, and even attended a variety of Lamaze classes and prenatal yoga. Eventually, when the time finally felt right, the ladies launched Moody Mamas in September 2008. Marta and Elise’s entrepreneurial journey has been arduous but rewarding. Since the company launched during the recession, it has seen many of its clients go out of business and has had to persevere despite the difficult financial climate that we are still in today. Nevertheless, Moody Mamas has attained a lot of success during its infant years for it has received critical praise and has been given the opportunity to sell to its two initial dream clients, Target and Nordstrom. Moody Mamas is available on www.moodymamas.com. It is also on twitter and facebook. Become our friend! Moody Mamas clothing is luxurious, fashion forward and will make all pregnant women feel beautiful and confident. Buy some Moody Mamas clothes today! I just love the Shimmering Charmeuse Tunic Dress! My favorite is the "Posh Mama Pants" - they look so comfy I wish I was wearing them already! Signed up for the feed. I like their chic chiffon dress in magenta. Thanks for the chance. I like the jersey turtleneck dress. So cute! I like the Luscious Long Dress. It is truly elegant. I like the Jersey Turtleneck Shirt in Navy. Please enter me. Thanks!! The Chic Chiffon Dress in Teal is gorgeous! Its nice to see you can look party-ready and be very pregnant, thanks! i receive your emails as well. I love this buffalo box-pleat tunic! I love the Long Sleeve V-Neck Dress in Black! I love the ponti wrap dress with ruffle. The Jersey Box Pleated Shirt in Teal is cute. I love their buffalo box pleat tunic. It looks very comfortable and is a great casual look. LOVE the Luscious Long Dress. Thanks for the chance. Love the Chic Chiffon Dress in Teal. I would love to have this for my work Christmas Party. I really like the Blissful Box Pleat Shirt! I love the Chic Chiffon Dress in Teal. I love the Ponti Wrap Dress with Ruffles...too cute! i love the Cute Cowl Neck Dress-Jersey!!! i love the Cute Cowl Neck Dress-Jersey! My favorite is the Chic Chiffon Dress in Magenta! Thanks! I love the Posh Mama pants. I love all the clothes-being 5'9 and 12 weeks pregnant it is hard to find cute things to wear. I really like the black v-neck dress. The last shirt on the tops page which is the Blissful Box Pleat Shirt, the model wears it well wonder if it would look the same on? I really really love the couture hoodie! I just fell in love with the Chic Chiffon Dress in teal! Too cute!! I like the Ponti Turtleneck Dress w/ Leather Pockets in Grey for my wonderful wife. I love the Chic Chiffon Dress in Teal, thanks! I like the Jersey Box Pleated Shirt in Red. I like the long sleeve v-neck shirt in chocolate! I absolutely love their Buffalo Plaid Flannel Jersey Dress!! !